Agway was formed as a member-owned farm supply cooperative serving commercial farmers and other customers in rural and suburban communities throughout the Northeastern United States. Agway was formed in 1964 through a merger of Eastern States Farmers Exchange (1918) and GLF Exchange (Cooperative Grange League Federation Exchange, formed 1920). In 1965, the Pennsylvania Farm Bureau Cooperative Association (early 1930s) joined the merger. The West Chester Agway store was built in 1976 primarily as a farm and feed store. Many changes and facelifts have occurred to meet a changing and growing customer base. 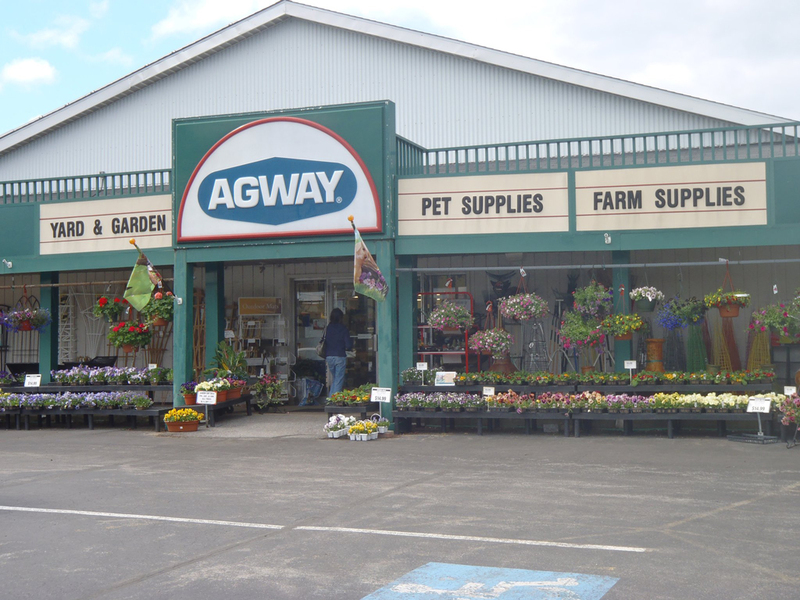 West Chester Agway was purchased in 2000 by Cory Mattia, and has been growing stronger with a complete line of lawn & garden, pet, wild bird, nursery, and farm & feed supplies and continues to provide the best, personal customer service in our area. West Chester Agway is your family's "one stop" shop store. Come visit us today!